“The Incredible Lightness Of Being” international coaching and retreats for individuals, couples and groups. Tink and Cynthia have both lived in the Cancun beach area for 10 years and have been friends since meeting several years ago. Cynthia was blessed with Tink’s friendship when she was going through a rough patch in life after her husband passed on, and this is how Cynthia knows first-hand how loving and helpful and uplifting Tink’s friendship can be… and why she is recommending Tink as a Life Coach for any individual or couple or group that needs special support or help. Tink is a Holistic Life Coach, Guided Meditation Expert, Performer, and the creator of: Tinkiology & The Peace Makers Project. Her mission and forte: to help us raise our awareness to our true essence as eternal energy beings having a temporary physical experience, and to find more joy and peace in that awareness. 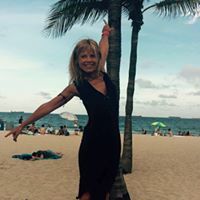 She enjoys sharing her knowledge, teaching ( reminding us) how to live from this awareness, in a simple, playful and practical way by bringing more laughter, lightness, ease and abundance into our life. Tink feels that world peace depends on our understanding of what absolute inner peace means, how it ripples in and mirrors in the ‘external world’. This magical yet simple process will bring us all into a strong sense of oneness and happier collaborations. La vie est belle! Tink started her journey as a professional dancer, model, ballet and Graham teacher, personal trainer and choreographer. She has studied and performed in Europe, USA and Mexico. While living in London, Tink won a scholarship to the Mime Centre, for all performing arts, by Adam Darious. She majored in improv, expressive mime, Comedia del Arte, choreography, stage and costume design, and hair and make up. Since then she has danced, choreographed and trained others for stage and television, worldwide. Ballet Dancer Tink on a Mexican beach! Despite the success, she chose to keep her projects small, allowing her the joy of raising her daughter, to study… and… smell the roses. She is bi-lingual in French and English, fluent in Spanish and Dutch, getting by with a few more. Tink has lived and worked in countless countries, always enjoying an adventure that keeps her mind open to all cultures and other ways of thinking. Alongside her performing career, Tink followed her life-long burning passion for “The Meaning of Life”, vowing to become a “cosmic Sherlock Holmes”. Over the years she has studied Body & Energy Work, Osteopathy, Homeopathy, Cranio-Sacral, Meditation, Life Coaching, Mysticism and Theoretical Quantum Physics. 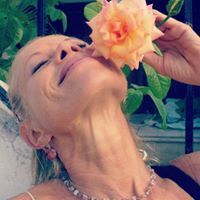 Tink is truly a passionate uplifter, teacher and entertainer, using her many skills and intuition to coach and treat wherever she happens to be, offering online guidance sessions as well. She uses her knowledge from the arts, especially ballet, to explain how energy works. Her one-on-one and workshops are unique, as she sees everyone as already whole and healthy. 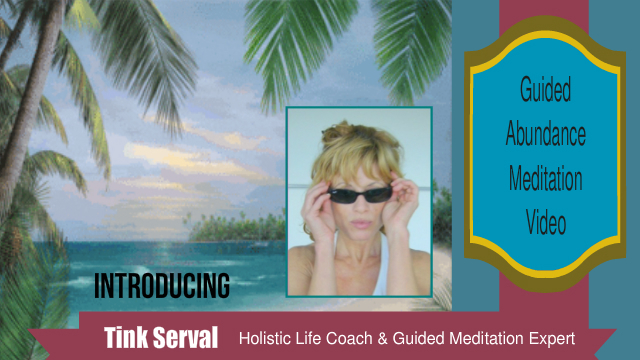 She combines her highly professional skills with a laid-back atmosphere, allowing you to feel totally safe and un-judged, resulting in an accelerated expansion in consciousness and alignment with your Source… hence, her aim is accomplished. Cynthia and Tink together have created a short 2 minute complimentary introductory Guided Abundance Meditation Video… it’s a short snippet of the full 9 minute ‘The Incredible Lightness Of Being: A Guided Abundance Meditation Video’. When in a complete state of relaxation, you align yourself with the Source of the universe and all things in your life will improve. Your finances, your relationships, your love life, your lifestyle desires, will all prosper happily and be more fulfilling. Your confidence, positivity and calmness will also grow daily… and you’ll also sleep better at night! Our videos bring you the relaxation you need! Legal Disclaimer: Your visit to this website or purchase constitutes your acceptance and responsibility for the proper use of the guided meditation videos (you promise not to watch or listen to the videos if you are driving or doing something other than being in a safe place) and if you feel you’ve been harmed in any way, you agree to hold harmless all principals and affiliates involved in the creation and/or promotion of the guided meditation videos. The guided meditation videos are not intended to be a cure for any psychological or mental disease or illness and if you have need of an appropriate licensed doctor you should seek one out.